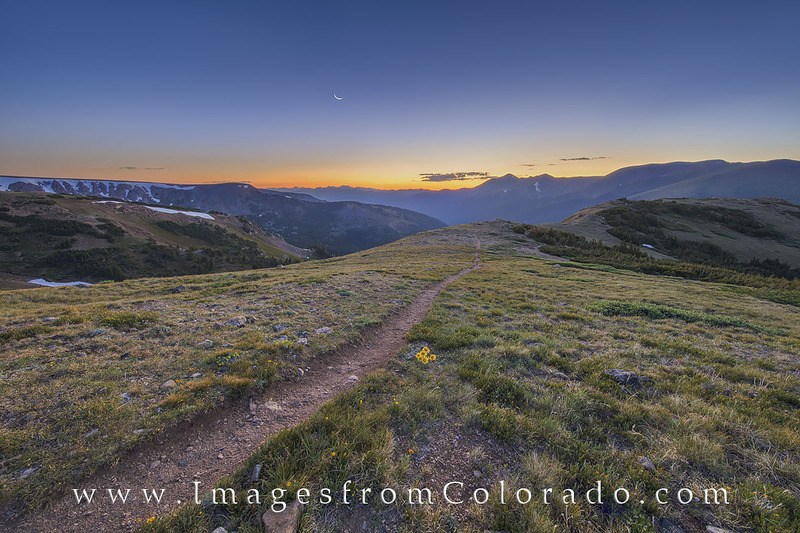 The crescent moon rises in the east just ahead of sunrise on this cold July morning atop the Continental Divide Trail. Just a short drive up Berthoud Pass from Winter Park, this hike is a nice way to start the day, and rarely is anyone else on the trail at this hour of the morning. I was preparing to take on the swtichbacks leading up and over to Russell Peak when I turned around and saw this beautiful landscape stretching out behind me. Photo © copyright by Rob Greebon.